Why did you apply to work at Red Airship? I applied to Red Airship because I saw that they had cool past clients, like BBC. I am a big fan of BBC… so that was one of the reasons. I wanted to try web development too, as I did my internship at a game studio last year. I was asked to block out 2 hours for the interview. That sounded like a long interview, so I assumed that I’ll be tested on my technical knowledge. When I arrived, it turned out that 7 people were interviewing me alongside another candidate (for a different full-time role)! It was unexpected, but very interesting. It wasn’t scary though, and nope, I wasn’t tested on anything technical in the end! It was meant to get to know me better as a person. I passed the interview and went back for a one-day trial. How is working at a company different from school? In school, I mostly did things by myself. For my one day work trial, I was introduced to Pair Programming, where I worked with Yihui (developer). It was quite helpful to learn on the go and have someone spot any mistakes. I code everyday… just coding, coding and more coding. I guess that’s what developers do all day! What was good about your work experience? The environment at Red Airship is nice, the location is easy to get to, and there’s a lot of food nearby (haha)! Ryan (co-founder) taught me things from his own experience – how to structure a project and plan what needs to be done. My colleagues were really nice too. How about the not-so-good parts? Actually, I’m quite happy overall. I ended up learning more than I expected! I thought that they only did Drupal here, but I also got to try out React.js. Which projects did you work on? I got the chance to work on mobile apps for OCBC, Sharetransport (testing of mobile app), BBC (display advertisement) and Aqua Expeditions. Special note: When Aqua Expeditions put in a special request for a donation drive after an unfortunate accident in the Amazon, Yong Xue worked extremely fast to set up an online donation page in less than a day. He also started the ball rolling by being the first donor. I look forward to graduating. I’ve started a company with some friends, Diceroll Studios. We’ve started work on a mobile game already – an action/puzzle game titled ‘Recolor’. The player has to navigate visually pleasing environments, drawing a path to recolor the world of two protagonists. We’re still working on the final story, and will launch it on iOS in September. 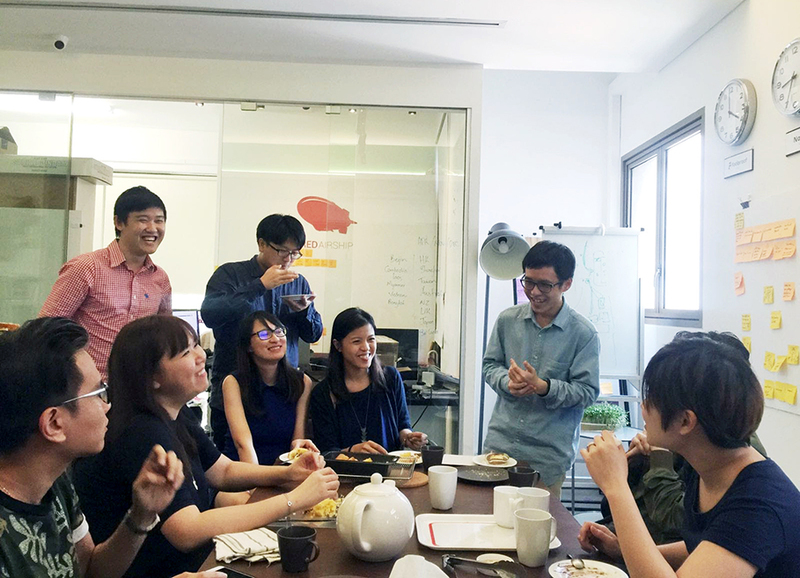 I find that the aim of the company to make their employees happy is very commendable. In many ways, they’ve succeeded. I encourage people to join Red Airship as I had a very good experience during my 3 months here. 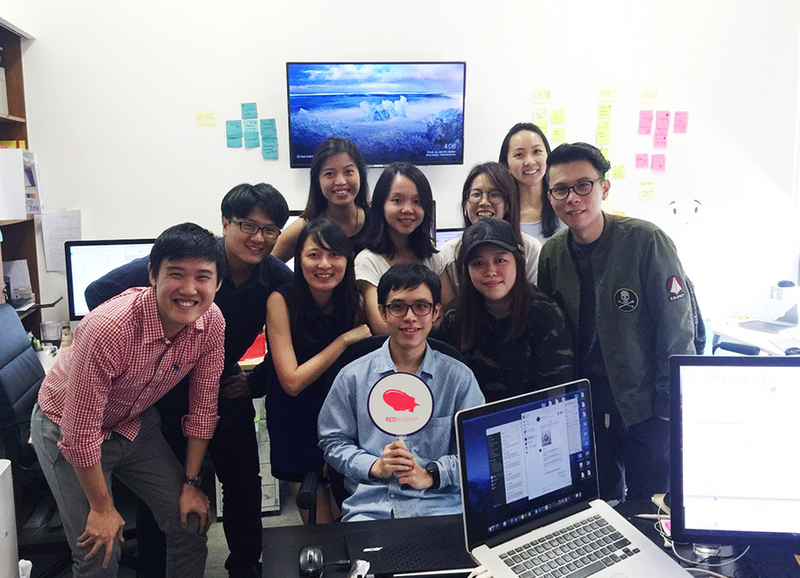 Red Airship values our interns’ motivation and capacity to learn over their technical capabilities, and we measure our success by the growth we observe in every individual we take in. Over the few months he was with us, Yong Xue has consistently met and exceeded the high standards Red Airship has in this area. Despite not having extensive exposure to web development, he was quick to pick up our web and mobile application frameworks through a few crash courses, and continued to self-learn in his free time. By the last few weeks he was able to contribute confidently to all the projects he was involved in and worked well with the team. He also became quite close to another Spanish intern, and developed quite a bromance (lol), which the whole team enjoyed . We are fortunate to have the opportunity to watch his growth and develop his interest in web and mobile development and look forward to working with him in the future.